The US Food and Drug Administration (FDA) recently sent warning letters to seven companies that sell Human Chorionic Gonadotropin (HCG) as a homeopathic weight loss remedy. The FDA will most likely ban HGC as a weight loss supplement. This ban may be doubly good news, because HCG is suspected of contributing to hair loss in susceptible individuals. HCG is a protein produced by the human placenta. It was sold as drops, pellets or sprays to weight loss centers. The weight loss program included taking HCG and reducing caloric intake to as low as 500 calories per day – a dangerously low number that can be dangerous. The FDA said there is no evidence that HCG helps people lose weight, and that the weight loss from the program was caused by the low caloric intake. 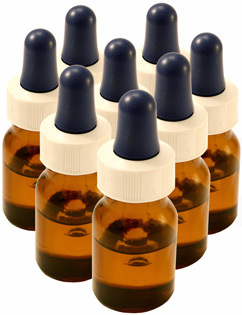 Homeopathic remedies are highly diluted drugs that are made from natural ingredients. Homeopathy is not accepted by allopathic medicine, and the dilutions are so small that doctors typically consider them to be harmless but ineffective. Homeopathics are regulated in the United States the same way as pharmaceuticals. HCG has an approved use: for infertility. Marketed under the names Profasi, Pregnyl, Novarel and A.P.L., HCG injections help couples have children. In women, HCG stimulates ovulation. In men, HCG treats hypogonadism, in which the testes do not produce enough testosterone. Obviously, if a man has normal testosterone levels and then gets HCG, he will produce more testosterone. 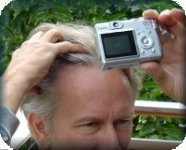 In men genetically prone to male pattern balding, their hair follicles on the top and front of the head become more sensitive to testosterone and its by-product, DHT, as the man ages. Therefore, taking HCG could accelerate his hair loss. Dramatic, sudden weight loss can result in “shock loss,” in which hair falls out due to the shock of losing too much weight too quickly. For many adults, losing 1 to 2 pounds per week over a longer period of time has longer-lasting results than “crash” diets. It’s virtually impossible to starve yourself voluntarily for long, no matter your resolve or will power. The key to weight loss doesn’t come in a magical bottle. All diets serve to reduce caloric intake. Most adults should get at least 1200 calories per day; less than this is dangerous. Starting a new weight loss program should be done under medical supervision. Dieting alone is not enough. Raising the metabolic rate through regular aerobic exercise burns fat, builds muscle and protects the joints. Good protein is essential to building muscle. Replacing one or two snacks a day with Help Hair Shake provides excellent protein in the form of whey protein concentrate. While the more common whey protein isolate has been shown to damage hair and contribute to hair loss, Help Hair Shake was shown to improve the quality of the hair. In addition to whey protein concentrate, Help Hair Shake contains vitamins, minerals and supplements designed to improve the luster and thickness of the hair. Any weight loss program that drastically cuts calories, includes unproven supplements, and doesn’t require significant aerobic exercise is simply absurd. Claims that HCG helps people lose weight are not scientifically proven and could results in hair damage – and worse. This entry was posted in General, Hair Loss, Hair Loss Products, Hair Problems on December 6, 2011 by Larry Shapiro.